Properties in Western Bay of Plenty District average 4.6 out of 5 stars. Property 10: SNAZZY! Right in the middle of the action! Property 16: Private, quiet, cottage adjoining stream. Property 17: Gorgeous cottage beside stoney bottom stream! Property 18: Family friendly and a short stroll to the beach - you can hear the surf. 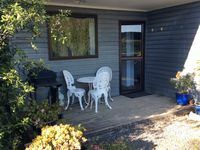 Property 19: Stylish apartment between Waihi Beach and Katikati. Property 23: Self contained cottage next to swimming pool. 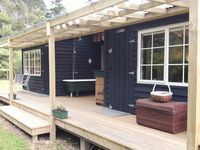 Property 31: The Hen House - Book a little break away now! Property 33: Seperate guest room in serene estuary setting. Property 35: The perfect location - Right On The Beach! Property 48: Newly renovated and GORGEOUS! Summer's still here! Property 49: Beachfront - In Paradise! A lovely wee cottage. Everything we needed, and all so clean and tidy. Flowers on table, heater on and goodies in the fridge for our late night arrival. We loved the views out across the kiwifruit orchard to the hills. Totally recommend a stay here. Thank you so much. We spent a fantastic 6 nights in April 2019. Excellent hosts. Very hospitable yet respectful of people's privacy. Breakfast ingredients for the first morning was a very nice touch. The cabin is simple yet very comfortable for 2 people. It was very nice to come back to our little warm cocoon with a beautiful double bathtub on cooler days after our Kaimai Range walks. Congrats to the hosts, very well done!